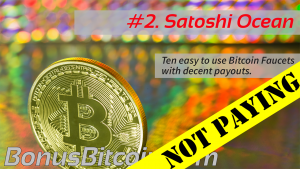 Ten Easy to use Bitcoin Faucets with decent payouts. 7 Jan 2016 – UPDATE: It appears this Faucet is no longer paying withdrawals – Beware! We updated this post a few days ago to warn people that this Faucet has stopped paying. Join our email list, so we can share both opportunities and warnings with you in the future. We lost a big chunk too. Appreciate your commenting here to help keep others informed. Thanks for this info. I will stop every activities there. When we hear about problems with faucets – as well as opportunities for good ones we’ll keep you updated. Sadly, it looks that way Gabriel. Whats ur email id to join and is Satoshocean paying ? Satoshi Ocean has stopped paying, as you’ll see from the update in this post and the comments from other users. Don’t forget to join our email list to keep up to date with faucet news and reviews! No, as you’ll see from the comments and our updates – Satoshi Ocean stopped paying out. It would be nice if they did – but I can’t see it happening now. I wonder if they’re still getting the revenue from their advertisers!? sir, Satoshiocean .com is big scam site. please someone complain to google to blacklist that site , at the time it show top list in google record. Thanks Umar, That’s an idea. In the meantime, make sure you’re on our email list so we can share any problems or opportunities with you. You, me and lots of others have lost out with this one. As you’ll see from other people’s experiences here, I don’t think you’re ever going to see your Satoshi from that Faucet. Yes, unfortunately lots have people have lost out. I guess it must be the same in all faucets of the chain because I did in satoshisix.com this retreat , that when he made ​​mention that in 48 hours, but in the FAQ mentions that in a week, but seeing the comments lose hope . What hurts me is that for every claim ever I click advertising on any faucet I go , and now this keeps my satohis and advertising revenue . Instantsatoshi.com is also a scam site. Nobody visit this site. Are you saying that Satoshi Ocean pay out? There are a lot of people who have not received payouts when they’ve claimed. I’ve just looked and the minimum balance for payout is 3,000,000 Satoshi. 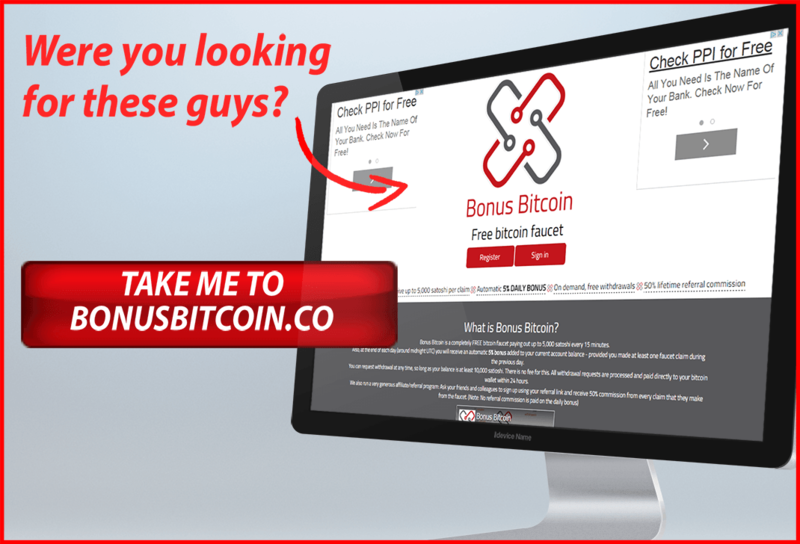 Have you actually claimed successfully and received the payout in your Bitcoin Wallet? Copyright © BonusBitcoin.com 2015-2017. All rights reserved.